Low Carb Diet News - Tag Archive for "Tim Noakes"
Noakes launches free diet websiteRelated Stories Cape Town – He has faced a barrage of criticism from his peers following his U-turn from “carbo-loading for athletes” theory to a high fat, low-carbohydrate diet, but Professor Tim Noakes is unrepentant. A few months after he launched his cookbook, The Real Meal Revolution, the sports scientist from UCT this week launched a website that not only provides tailor-made diets, but also offers free dietary and medical advice for those affected by metabolic syndrome. Noakes said the website, originaleating.org, would benefit those with insulin resistance, otherwise known as carbohydrate intolerance, and other lifestyle conditions including diabetes and obesity. The site has details of Noakes’ Original Eating movement that promotes Banting – a low carb/high fat diet. 10 Golden rules of Banting10 Golden rules of Banting Banting has become synonymous with the Tim Noakes Diet which refers to going on a high fat, low carbohydrate diet. Here are some rules to guide you. Tim Noakes’ eating plan was first prescribed in 1861 by a Harley Street surgeon Mr William Harvey with great success to a corpulent London undertaker, Mr William Banting, thus it is more appropriately named the Harvey/Banting diet. In time the term to ‘bant’ was introduced into the English language. 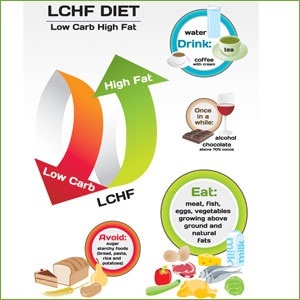 It referred to the use of this low carbohydrate diet for weight loss. Indeed ‘Banting’ was the standard treatment for weight loss in all the major European and North American medical schools for nearly 100 years until it suddenly went out of fashion after 1959 when it was written out of all the major medical and nutritional textbooks, to be replaced with its polar opposite, the currently popular low fat, high carbohydrate, ‘heart healthy’ diet.